Who wants to see some fun goodies from Etude House? Sorry it took me a while to post about June's box—this has been a crazy month. The contents of the box are still delightful though. Aged like a fine wine? Or something. Wondering what a Pink Bird Box is? It's a special bundle of new and classic products that K-beauty brand Etude House sends out to select bloggers and vloggers each month for review. You can't buy or subscribe to this box, but of course you can buy any individual items that appeal to you from Etude House shops (if your country has 'em) or the Etude House global website. These are what I would consider to be a "classic" Etude House product, in that they've been around for a while and they seem to pop up in silly Instagram selfies all the time. 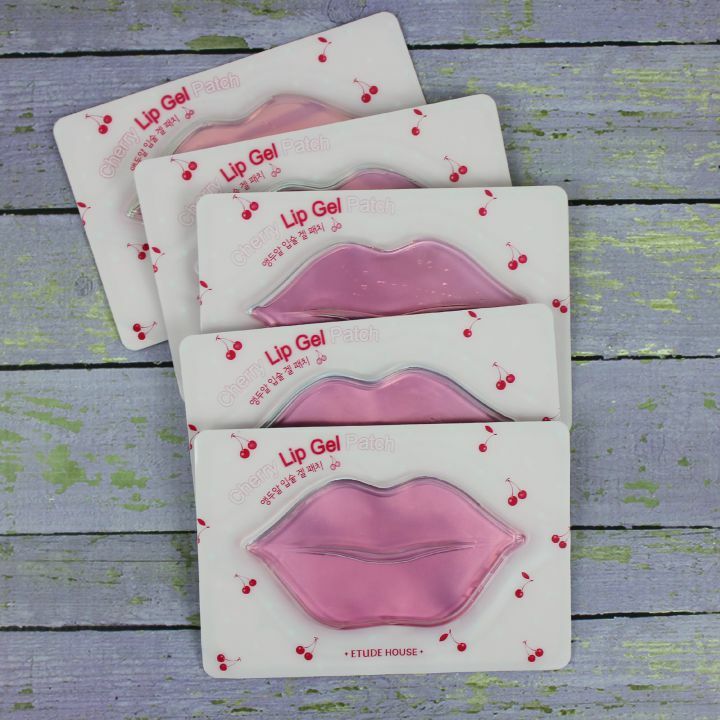 The Lip Gel Patches are essentially thick hydrogel masks for your lips, with a fun-n-fruity scent. I think they're nice to use post-lip scrub—they provide a bit of hydration and feel very cooling and soothing. Now, if you do pick up some of these lip masks, know that it's pretty much mandatory that you take crazy selfies with them. I recommend trying to look as creepy as possible. He wasn't quite as enamored with having something covering his mouth... he ended up wearing it as intended for a minute, then sticking it to his forehead for another minute, then throwing it away. Well, I'm definitely not sharing next time! More for me. Another "classic" Etude product. I actually wrote a review of this stuff almost two years ago, which you can read if you want, but I'll summarize here: It works. More specifically, it's a dual-phase remover (i.e. the kind with two layers you have to shake up before using) that works pretty well at dissolving waterproof makeup, dark eyeliner, etc. Always a handy thing to have! The vial pictured here is a sample, but the full size is only 80ml, making it travel-friendly. I believe Etude House gave out a couple different styles of these "Decoden Kits" a while back as gifts-with-purchase of their BB cushions. Meaning it's not for sale on their website at the moment (but a little birdie told me that you can find some for sale on eBay). 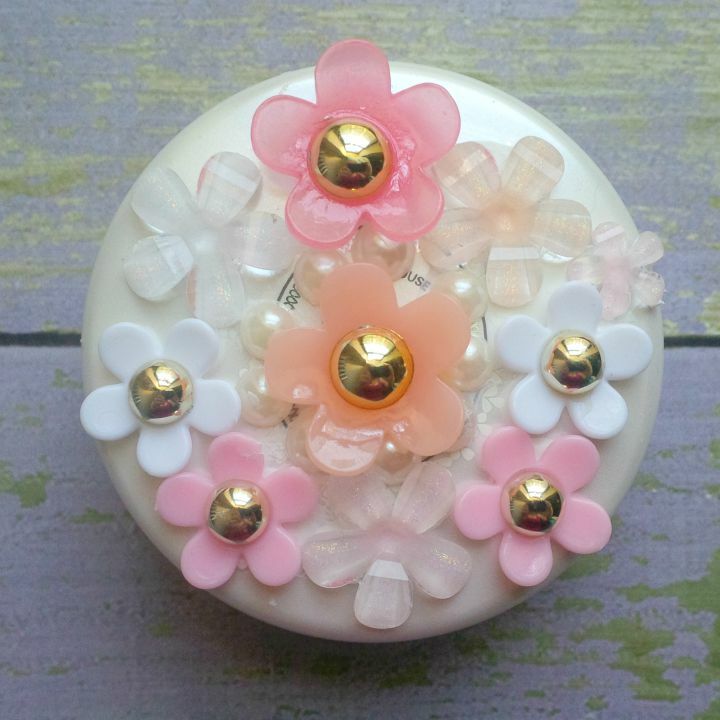 For those unfamiliar, "Decoden" is a Japanese term that refers to decorating cases and objects with lots of 3D bling. The word was originally specific to phone cases, but now people use to describe decorated cases of all kinds... including Etude House's basic Any Cushion case. The kit consisted of four parts: A tube of polymer glue, two piping tips for the glue, and a baggie filled with plastic baubles. I received the "Flower Holic" version of the kit, which was loaded up with tons of plastic flowers (surprised?) You need to BYO case to decorate. I used the case of my Pearl Aura Any Cushion, if anyone cares. In decoden-ing, I've seen a lot of people "frost" the whole case with white glue before applying the baubles. That results in a much neater-looking final product, but I didn't trust my shaky hands to be able to do that and apply the charms without making a giganic mess, so I just stuck 'em on with a dab of glue wherever I felt like it. Result: SO MANY FLOWERS! Is it practical? Nope! Is it fun? HECK YEAH! The "Open Your Eyes" box is a special kit containing several essential makeup products... in other words, an EOTD in a box. If you were to purchase all of the items in this kit separately it would cost about $32, so in addition to being convenient, it's quite a good value. I already showcased the #1 Play 101 Pencil in my last Etude House Pink Bird post, so let's focus on the new stuff! In case you weren't sure, the shadow in the foreground is the "Jewel" shade (OR202) and the one in the background is part of the standard Look At My Eyes lineup (BR402). 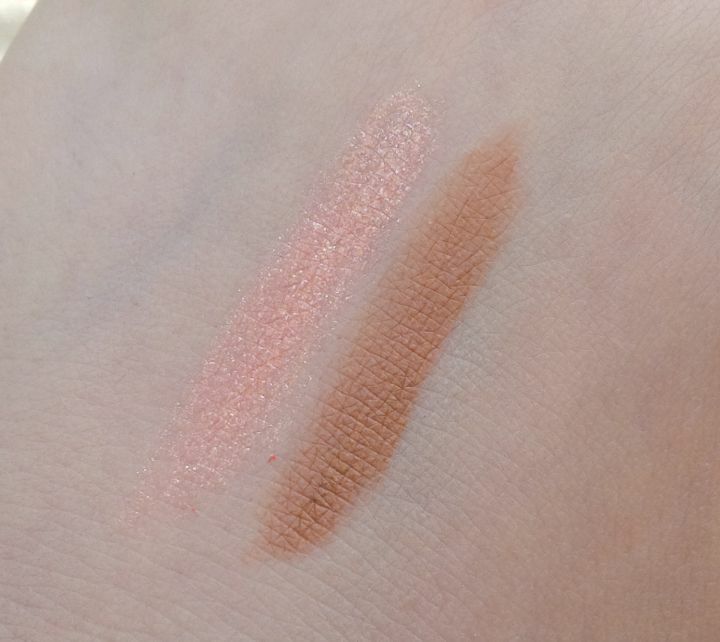 The pink shadow is very shimmery and glittery, as one would expect from how it looks in the pan. The brown shadow looks matte in this photo for whatever reason, but it actually has a nice satiny/shimmery sheen as well... not as sparkly as the pink, but more exotic than your average brown. As with many shadows, I find that both of these look a lot more pigmented over primer. 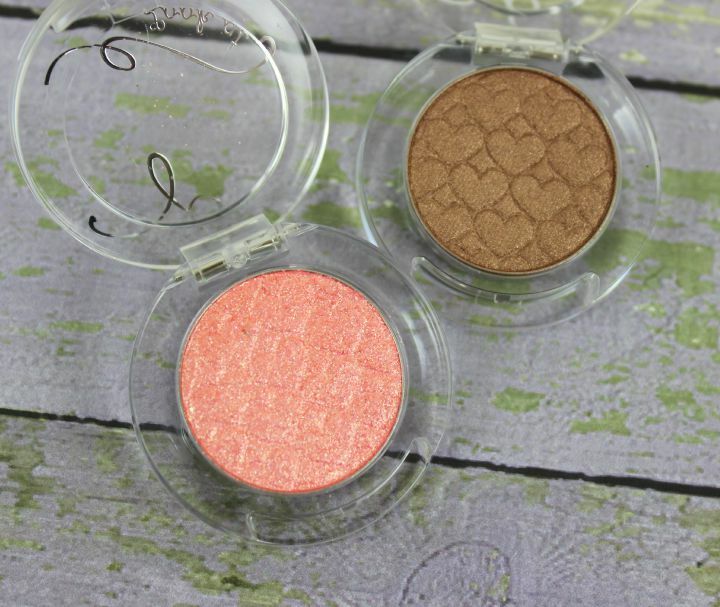 The pink one actually looks really nice without primer though, if you want a subtle wash of color on your lids that isn't quite as orangey as it appears here. 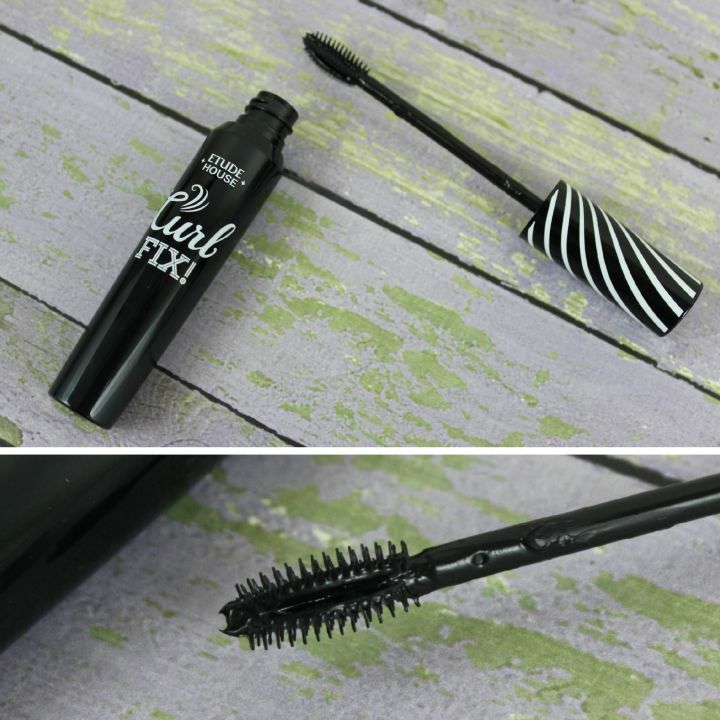 Now for Lash Perm Curl Fix Mascara. This stuff claims to be able to hold a curl for 24 hours, and I have to tell you something... if you don't wash your face, it really will last that long. This is like industrial grade, super-ultra military-strength mascara or something. 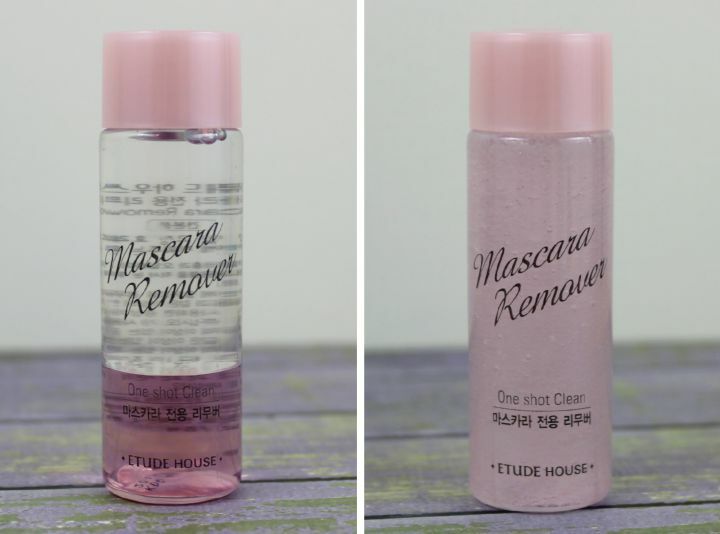 It's extremely waterproof and doesn't seem to flake on me... only downside is that it's a pain to remove, but I guess that's why Etude House threw some of their Mascara Remover in the box! The wand has an interesting design: It's sort of a C shape with rounded bristles on the curved side and slightly spikier bristles on the flatter side. You're supposed to move it across your lashes in a zig-zag fashion. Works for me. I will say this: I found that with more than one coat things started to get a bit spidery, but one coat was more than enough in terms of providing length and definition. Anyway if you need a mascara that really holds up well to humidity, this one's well worth checking out. That's all for the latest Pink Bird box... supposedly there's another one on its way as we speak, so hopefully I'll get it soon and be able to share it with you! 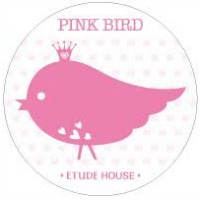 What do you think of this Pink Bird box? Which item would you be most excited to try? 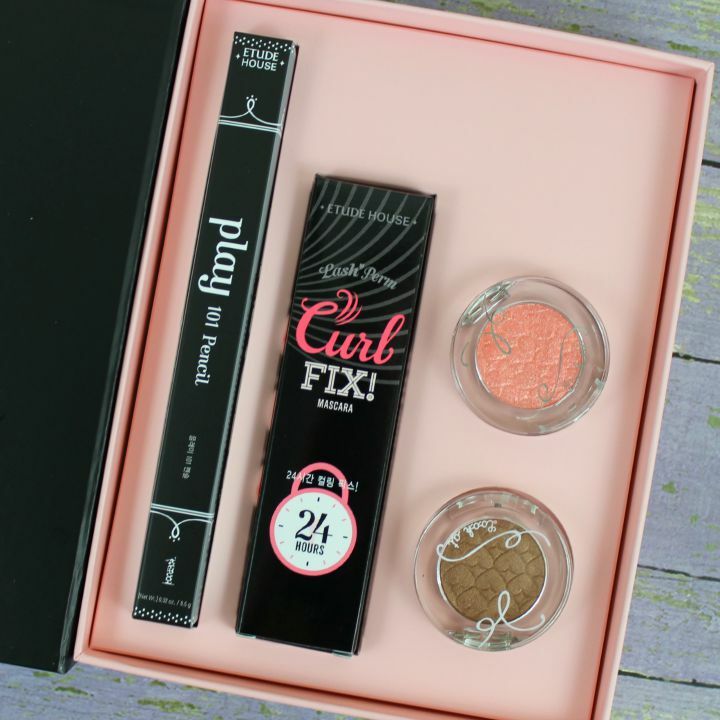 Disclosure: The box featured in this post was provided to me by Etude House for review purposes, however any opinions expressed above are honest and my own. I did not receive any other form of compensation. Some or all of the links in this post are affiliate links, which means I will earn a commission if you make a purchase after clicking on them. For more information, check out my full disclosure policy. R. | Plan your fantasy vacation!